The LC1001 is also available in metric configurations, with ranges from 0-250 to 0-10,000 kgf and metric threads. 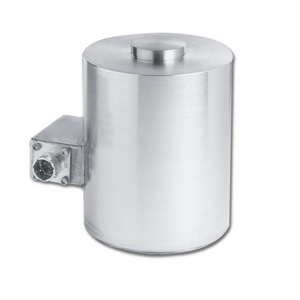 Please see the LCM1001 for complete details, or contact our Pressure department for more information..
Dual Bridge Canister load cell with 25 ft cable. 참고: Load cells over 300,000 lb calibrated for 0-300,000 lb. For a full scale calibration over 300,000 lb, specify option "-FS" after model number ($1,500 additional price).